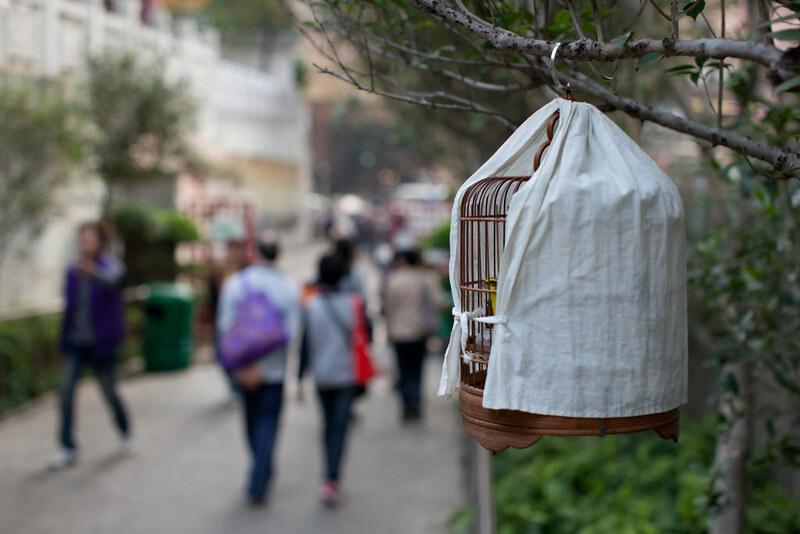 Here's a shot from near the entrance the bird market in Mongkok. The cage was hanging by itself away from the center of the market, and none of the passersby seemed to give it much attention. I waited around a bit to get the right amount of people in the shot to balance the composition. I chose a somewhat narrow aperture of f/2.8, so that the background wouldn't be a complete blur.